We are in the month of May and at the zenith of wedding season. We’re having so much fun seeing all of our customer wedding photos pour in. We’ve speculated on trends, hashed out how to be eco-friendly, and even talked about whether or not to have kids attend your wedding. Yes, weddings are one of our favorite subjects. However, while there is so much planning and creativity that goes into planning weddings, the wedding day represents just one day out of a lifetime. It is on the anniversary of your wedding that you pause, remember, and reflect on the vows and commitment that was promised during the ceremony. 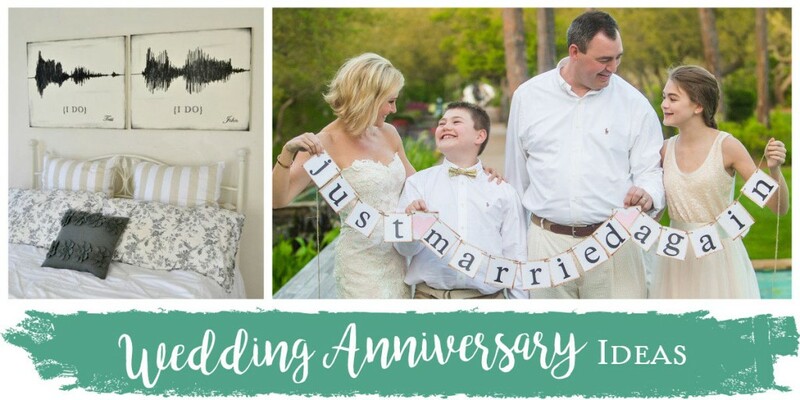 It’s no secret that we like to celebrate just about everything, and if there is one thing that doesn’t always get celebrated (properly), it is a wedding anniversary. So why aren’t anniversaries a bigger deal? While weddings are a dime a dozen, the reality is that not everyone makes it to their 5th, 10th, 20th, 30th, or 50th anniversary. Every year that goes by in your marriage is a marker–a milestone–and whether it ends in an odd or even number, you need to celebrate it! Here are some of our favorite ways to celebrate anniversaries. Ever seen someone suddenly remember it’s their wedding anniversary and they slap themselves on the head and cringe? I’ve actually been that person. It’s a terrible feeling to forget such a momentous date! While you can always remedy the situation by purchasing a bouquet of flowers or making a last minute reservation, the ultimate problem is you forgot. Giving your spouse a gift on your anniversary is not about giving the gift, it’s about remembering to give a gift. When it comes to anniversary gifts, thoughtfulness is key. Think back to that day–the emotions you felt. Was your heart beating loudly in your chest? Were you thrilled with excitement? Swooning with puppy love? These are the feelings you want to remember and use when finding the perfect gift. The emotion behind the gift is everything. 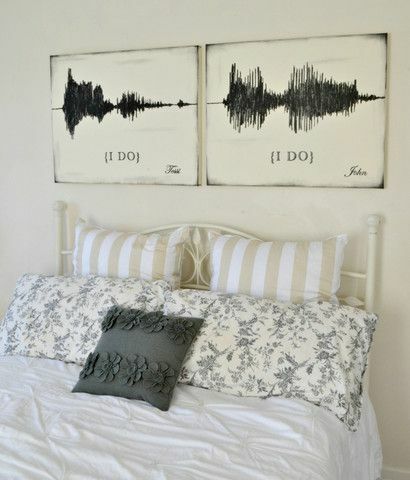 That is why we love these sound wave canvas prints of the words “I do.” How amazing would it be to record you and your spouse saying those vows and then turning the words into art? Whether you choose to wow your spouse with custom jewelry, or surprise them with a silly inside-joke, the important thing to remember is that in the case of anniversaries, it’s the thought that counts. Don’t be afraid to go out on a limb and give something straight from the heart. Remember when you were dating or engaged and all you ever did was talk about the future? 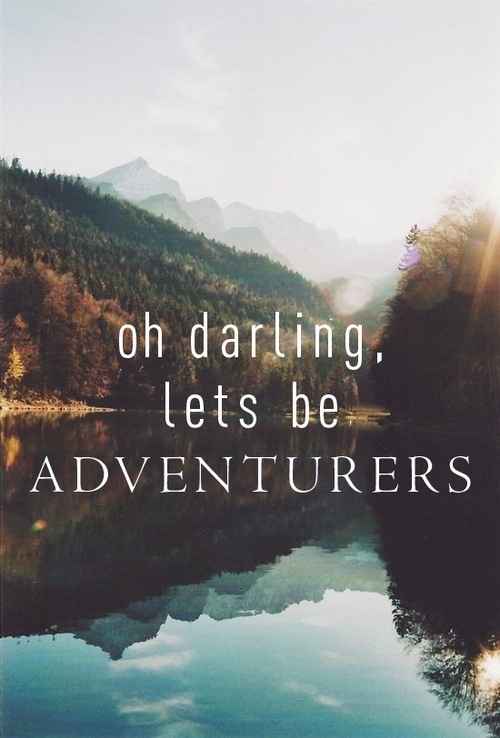 Your wedding day should be the beginning of many adventures. Make a bucket list with your spouse and list all the places you want to see together. Most likely, you’ll include places like the Eiffel Tower, St. Paul’s Cathedral, and the Great Wall of China–don’t we all? But what about funny, quirky, or even ridiculous destinations? Your bucket list doesn’t need to be all high and lofty endeavors, but real, fun experiences. Make a quest to discover the greatest doughnut shop in America. Find out if New York or Chicago pizza is better. Learn what all the fuss is about with cold-brew coffee. Do you know where America’s largest truck stop is located? We don’t either. Find out with your spouse. The point to all this is that your anniversary is a time to commemorate the biggest adventure you set out on–marriage–so celebrate with another adventure. Can you believe we are suggesting you have an anniversary party? Yes, we find every reason possible to bust out confetti cannons and sparklers. However, you don’t have to put on a gigantic shindig to celebrate your anniversary. Why not invite your close friends and family over for a fun BBQ? No white dress necessary–just bring everyone out for a “reception” that promises food, beverages, and fun. Today, many married couples opt for a vow renewal ceremony at different milestones in their marriage. Like weddings, vow renewals differ from couple to couple and can be as simple or elaborate as you want. 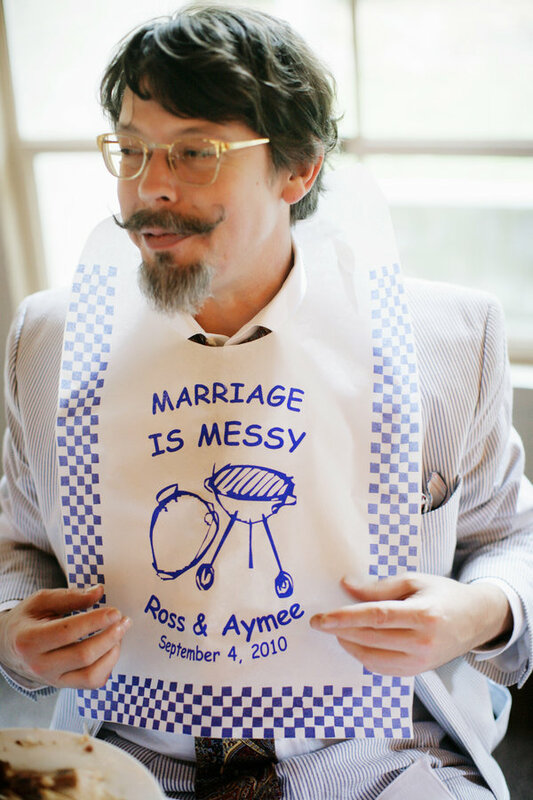 For example, check out this intimate seaside vow renewal featured on Style Me Pretty. What is so touching about this ceremony is that it involved only the officiant, the couple, and their children. 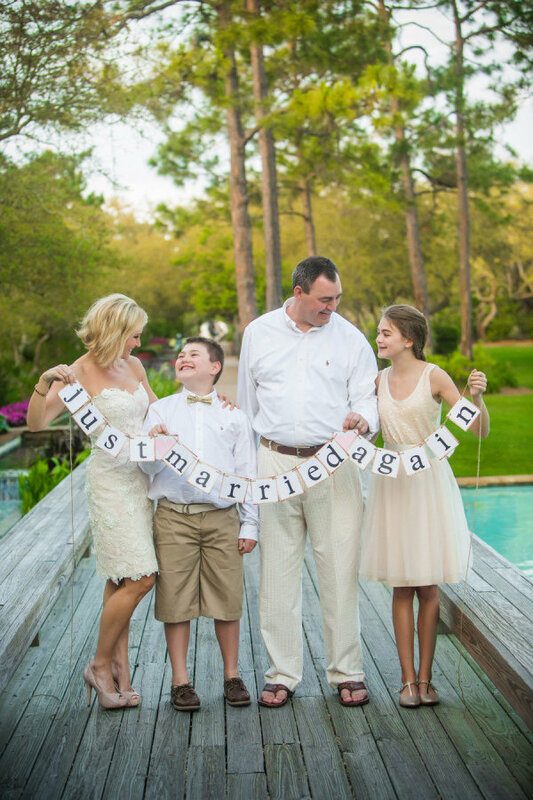 A vow renewal is a way to celebrate and reaffirm your marriage, and if you have kids you will want them to be a part of that affirmation. Many couples choose to incorporate vows to their children during vow renewal ceremonies. You can see some examples of vows for children here. No matter what you give, where you go, or how you choose to celebrate, the important thing to remember is that anniversaries are about remembering and promising. Remember that wedding day and promise to be better spouses. Remember those emotions and promise to back them with action. Are you celebrating your wedding anniversary? We would love to hear from you! Please feel free to tag us on Instagram or Facebook with your superior celebration! The quirky trip idea is a great one. Lots of people revisit honeymoon locations but what about visiting places that you used to go before you got married? Maybe stop in a that diner that you used to go to in the city where you first met? Or the location of your first date if you can remember it.